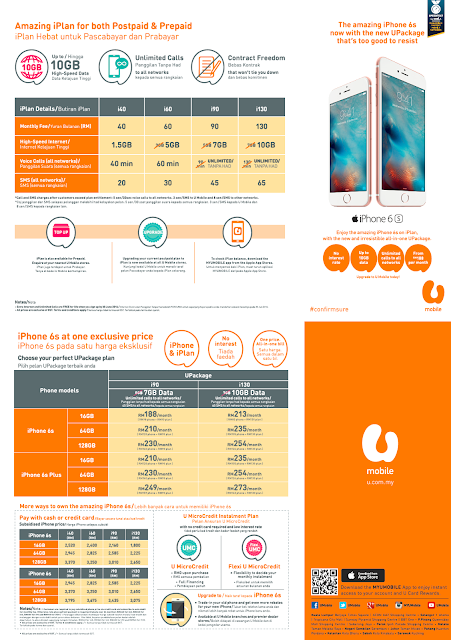 U Mobile Sdn Bhd, the telco with the fastest mobile network in Malaysia, is making it even more affordable for customers to own the much sought-after iPhone 6s with its latest all-in-one postpaid plan called UPackage. UPackage consists of an interest free instalment plan as well as the competitive monthly rates for data and voice offered by the iPlan, all at one price. When customers subscribe to UPackage, they will be able to purchase the iPhone 6s at a subsidised rate and payment will be made over a period of 24 months, completely interest free.